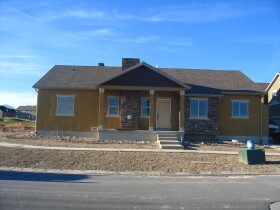 Are you looking for information about homes that have sold in Eagle Mountain Utah? Paul Teasdale with Team Teasdale Realty would be happy to provide you with a free market analysis on what your Eagle Mountain home is worth in today's market. Below is a home that Team Teasdale Realty sold a few years ago. Would you like a list of sold homes in Eagle Mountain? We can email you a list of all the similar homes in Eagle Mountain that have sold. Eagle Mountain Homes or you can call us directly and we will do a search for you and start showing you some bank repos. Here is the current data of Eagle Mountain SOLD Homes. Eagle Mountain, Utah one of the most progressive cities in Utah is located in the Southern portion of Utah’s Capital City, South Lake. The population in Eagle Mountain is fast increasing, for it is said to have about 200 people during the year 1996, and currently, it has a population of over 23,000. The hasty increase of the number of population in Eagle Mountain, UT is one of the reasons why the city has also been progressing speedily. And because of this, investing for a property in Eagle Mountain, Utah is definitely a wise decision. When it comes to investing in a home, it is best to ask the help of Realtors who are expert in this field. In Utah County, Team Teasdale Realty is a group of Real Estate experts who can best assist you in looking for a good property to invest in. If you are thinking about buying a home in Eagle Mountain, or in Utah County, then simply ask Team Teasdale Realty. But aside from asking help from your Real Estate agents, it is best that you also find out some information regarding the area where you plan to invest in. So here are some interesting facts about Eagle Mountain, UT, which are also reasons why you should invest your money on a home in a developing city.